and who has been selected for the summer course at the Paris Opéra Ballet School. Matthieu Pagès who has been selected for the Académie Princesse Grace of Monaco Winter course 2019 and summer course 2019 has also been selected for the Tanzakademie de Zurich with a scholarship, starting in september 2019. From August 24th to August 31st 2019, advance ballet classes at 10:30h and Pilates classes start back. The class takes place on Thursdays at 12:30h. 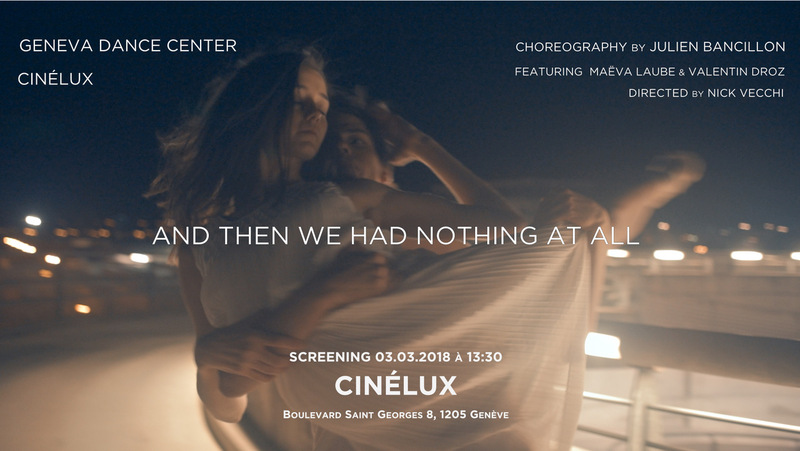 The Geneva Dance Center next performance will be on May 16th 2020 at the Théâtre du Leman. The school it’s first of all a ballet school for pre-professionnal students wanting a strong classical formation, but it also consists of ballet classes for anyone who is willing to do ballet for pleasure without thinking of a ballet career. Le Geneva Dance Center has 2 studios, of 200 et 100m2,with special ballet floor covered with professionnal linoléum specialy adapted to ballet classes. And a Pilates studio of 40 m². dressingrooms and showers for the students convinience.